The wall that encircles the ancient fort of Kumbhalgarh is one of the biggest secrets in India, and possibly the entire planet. Guarding a massive fort that contains over 300 ancient temples, the little-known wall was said to be constructed almost 500 years ago in tandem with Kumbhalgarh Fort itself. However, a retired archaeologist now suggests another immense wall may be even older. Most of us are aware of the Great Wall of China, but apparently, many also ignore a massive wall that stands tall in India. The fort of Kumbhalgarh is the second most significant fort of Rajasthan after Chittorgarh and extends to the amazing length of 36 kilometers (22.5 miles). The wall that surrounds it, which history buffs love calling the “Great Wall of India”, is speculated to be 80 kilometers (50 miles) long, a fact that would make it India’s longest fortification and the second longest wall worldwide, only behind China’s. 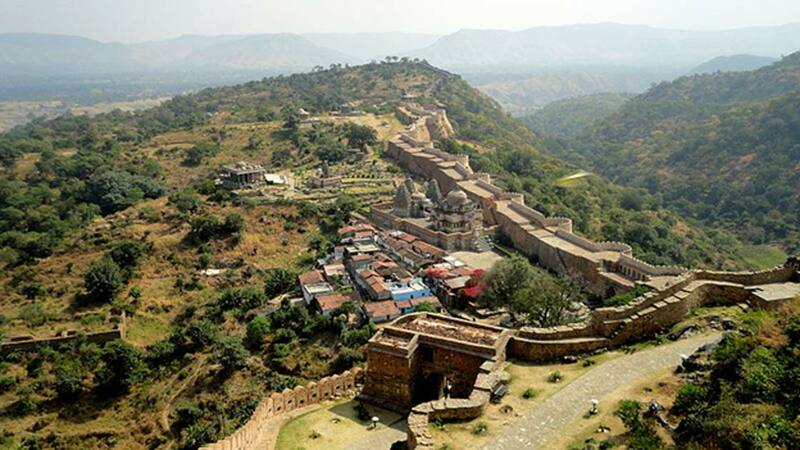 Ιn 2013, at the 37th session of the World Heritage Committee held in Phnom Penh, Cambodia, Kumbhalgarh Fort, alongside five different fortifications of Rajasthan, was proudly pronounced a UNESCO World Heritage Site under the gathering Hill Forts of Rajasthan. However, it still remains widely unknown for some reason, despite its massive construction and beautiful architecture. At its widest sections, the wall is 15 meters (49.2 ft.) thick, and impressively built with thousands of stone bricks and decorative flourishes along the top - making this just as attractive as a tourist destination as it once was effective as a deterrent. Work on Kumbhalgarh only began in 1443, nearly fifty years before Columbus sailed the Atlantic Ocean and discovered another, even larger, wall in China. Situated in the state of Rajasthan in the west of India, constructions started by the local Maharana, Rana Kumbha in that year. It took over a century to construct the wall and it was later enlarged in the 19th century. The Kumbhalgarh Fort, protected by the massive wall, was built high on a hill so it could dominate and observe the landscape from a distance. Altogether the wall has seven gateways, and it is believed that during the reign of the Maharana, the wall held so many lamps that it enabled the local farmers to work both day and night. Even more precious to the inhabitants of Kumbhalgarh, the wall mainly protected over 360 temples. Now, Narayan Vyas, a man who made several surveys of a wall between Bhopal and Jabalpur after retiring from the Archaeological Survey of India a decade ago, believes that that the temple relics and the wall could be even older than most historians think, dating somewhere from the 10th to 11th century AD, when warrior clans ruled the heart of India. Vyas also admits that this is just speculation for now and that further research is needed in order to prove these theories to be historically accurate, “All we need is evidence to confirm what we suspect – that we’ve found the remnants of a 1,000-year-old realm,” Vyas says. Examining the immense wall. (Pratik Chorge/HT Photo) Is it India’s Great Wall? Although the mystery remains and heated debates between historians may have only started, it is certain that locals are extremely proud of this giant structure and their history. They are also optimistic for the area’s future when it comes to tourism.